Wow, okay the months of January and February kind of flew by like that, that's very scary. I didn’t even realize, and my apologies too, that I totally forgot to do my favorites for January! Soooo I decided to combined the two months and make a list of 10 items! Excited? Well you should be, let’s start! I mentioned this in my IDS #1 post already, but I feel this needs to be repeated again. I LOVE THIS!!! AHHH!!! My boyfriend hates the term "Super Love" lol but I really super love this! My face just looks so bright! I used to have a really huge issue with my uneven skin tone and I hated how my forehead was so much darker than the rest of my face. But no longer!!! My face is now fairer, more even and all round glowy! 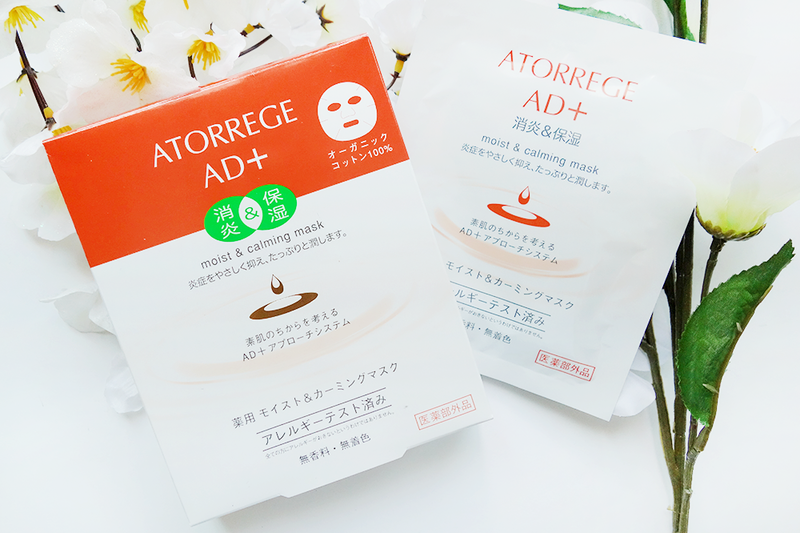 It also treats acne and lessens its redness, to add to its list of awesomeness. Seriously, if you have a chance to try this out, I'm sure you'll love it as much as I do! Vitamin C also helps in boosting our skin's defense against UV exposure, which is awesome for us anti-aging activists. One of my Beauty IG-friends from Aussie gave this to me and I AM IN LOVE. I've heard so much about it but never got around to trying it and can I say.... I'm just in awe at how much it can do. I remember once paying $80 for a tub of Egyptian Magic that actually could lose out to this amazing ointment. Egyptian Magic always had that funky smell but this doesn't at all. 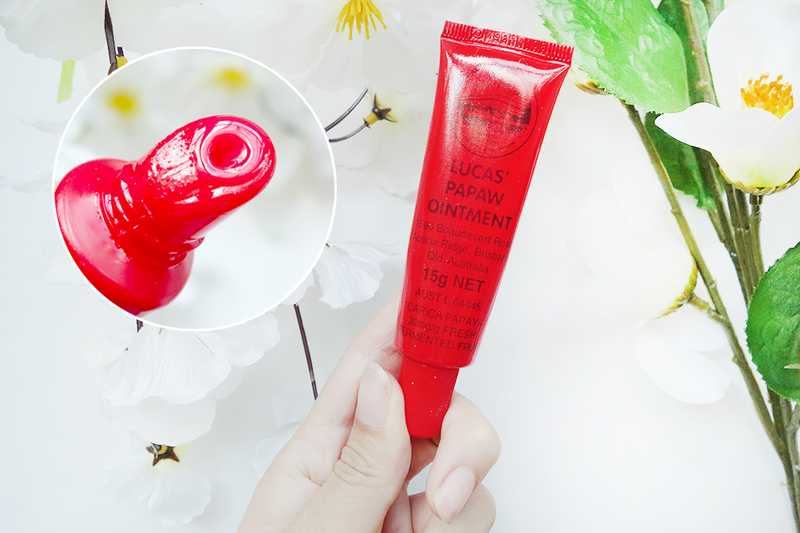 While this cannot be a moisturizer per se, it's really amazing as a lip balm (hellooo gorgeous smooth lips) and for putting on mosquito bites. I also put it on my HUGE RED cystic acne that was peeling, and it turned pink and softer the day after! WOOHOO! Do remember to use this preferably if you sleep with aircon though.. I'm not sure how the humidity plus the tackiness of the ointment will go together. Stockist: Australia, though I heard Qoo10 sells it! I was previously using Dr Hauschka's in shade 02 and which I loved.. However, I'm not sure if I got more tanned or something.. the shade got way too light. I didn't even notice till my boyfriend asked, "Why do you have a white patch on your face!?" And I realized.. It was time for something new. I stumbled upon Murad's when I was in Sephora and tried it on; of which, the moment I did, my boyfriend actually commented, "Hey! This covers up really well!" So I got it. Whilst a lot of people hope for treatment concealers to TREAT their acne... I didn't quite purchase this for the same reason. I got it because my face is really suffering a bout of hormonal acne that's red and inflamed so I just wanted a concealer that wouldn't exacerbate the situation. 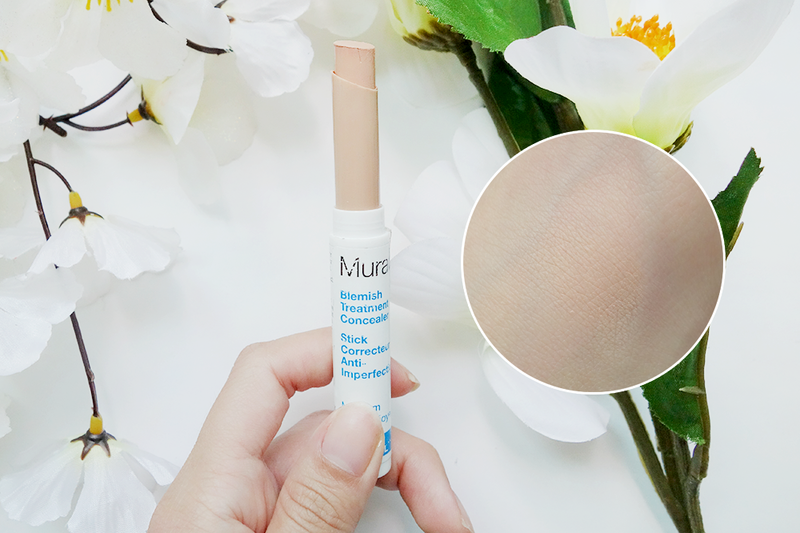 I know most people recommend normal cosmetic concealers for acne but I think having one specifically made for treating pimples just sets my mind so much more at ease. I can't say it lasts TOO long because touch ups might be necessary especially on oily areas, but the color suits me to a T (I would say I am an N20-25)! I love how, now, I can go out even with red spots on and not feel so self conscious because they're covered so well! I tried this out at work for a shoot once, and my boss, the model and I were all like, "Wow this is really pretty!" So I kind of knew off the bat that I had to get one for myself. Whilst the color isn't anything new in the market, it's a perfect kind of flush pink. 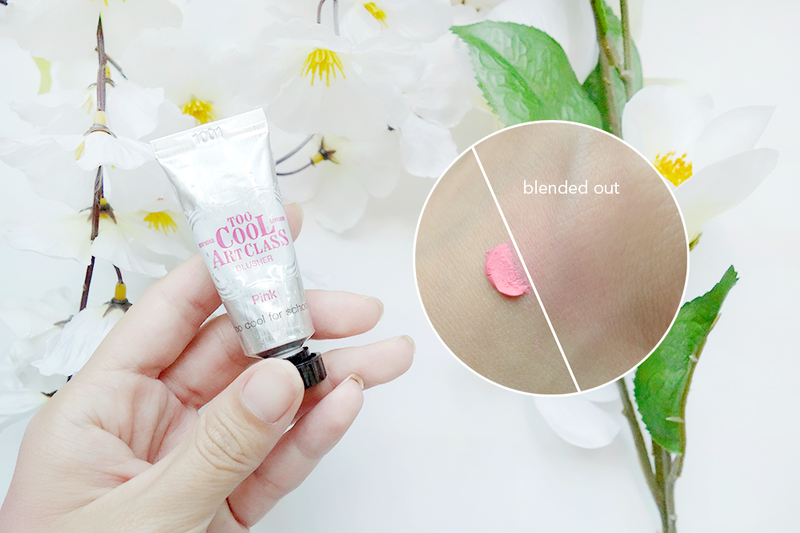 You don't need a lot, just swipe a bit on your fingertip and just blend it in for a very very natural blush! I really like it because I normally wait for my blushes to settle over a few hours before the pink looks like what I've got on when I use this. It lasts pretty okay, a few hours there or so, but since the blush size is so portable and can be used with (CLEAN!) fingers, it's not a hassle to me. The color, texture, and blendability more than makes up for it in my opinion. 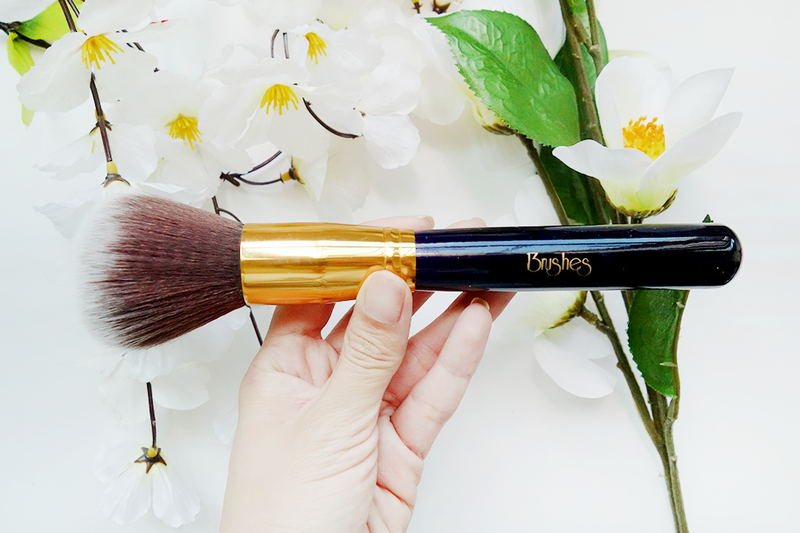 I've used MANY MANY 13Rushes brushes before, and one of my favorite finishing brushes from them was their Limited Edition Brush that I featured in my October Favorites 2014. That one, I was particularly mad about because it felt like a cloud was whizzing past my face and evenly covering my face with powder hahaha. However, sometimes, I wanted more focused coverage because I don't always put powder on my WHOLE face - I usually only put concealer and then sweep loose powder over it.. So call me greedy, but I really wanted a finishing brush that could do BOTH. Then this Round Powder Brush got sent to me and... well let's just say I found what I was looking for. This is slightly denser than the Powder Brush I was talking about above.. it's not so airy which means that it's easier to target specific areas. Its ultra-soft nonetheless, though slightly smaller and I think that lends to the sense of compactness of it. 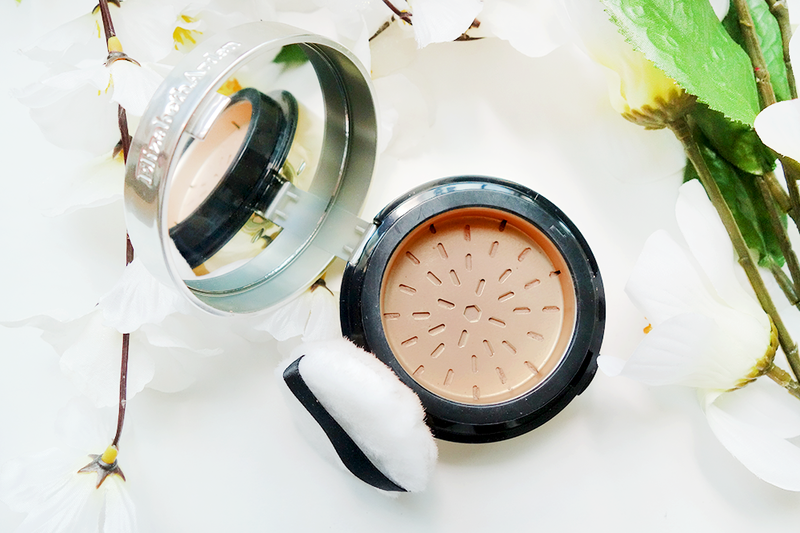 All the same, it still works amazingly for a whole-face application of powder and finishes off very beautifully. The best part is that it is made with Dryklon Bristles which allow the brush to dry TWICE as fast after washing!!! I think that's a huge plus point. This was sent to me somewhat late in February, and the reason it's on this list AND THE TOP AS WELL is because it is just THAT amazing. The texture is that of a watery tint.... and yet it doesn't get dry like some tints do... it just... lasts! And it just stays as moisturizing as when you first put it on! Throw away your lip balms and primers because you don't need it when it comes to the Lacque Supreme. Imagine a gloss + lipstick + lip tint + primer all in one, and you've got this. Mad love. MAD LOVE! For someone with sensitive skin, trying out makeup - foundation in particular - can be a nightmare. One wrong move and my whole face literally bursts out in tiny pimples, sigh. The first time I put this on was during an Elizabeth Arden event and I was pretty hesitant to try it because.. well.. call me OCD but the brushes have been used by other people and the powder wasn't brand new and I was so worried because I had just finished a facial..... You get where I'm coming from right? Anyway, this swept on my face beautifully, gave it a nice soft even glow... and! DID NOT ITCH ONE BIT! I did not break out, I did not want to scratch my face, I did not ANYTHING. The powder was soft, fine, and made me look so natural! I got mine right after the event and honestly haven't been wearing any other powder since. 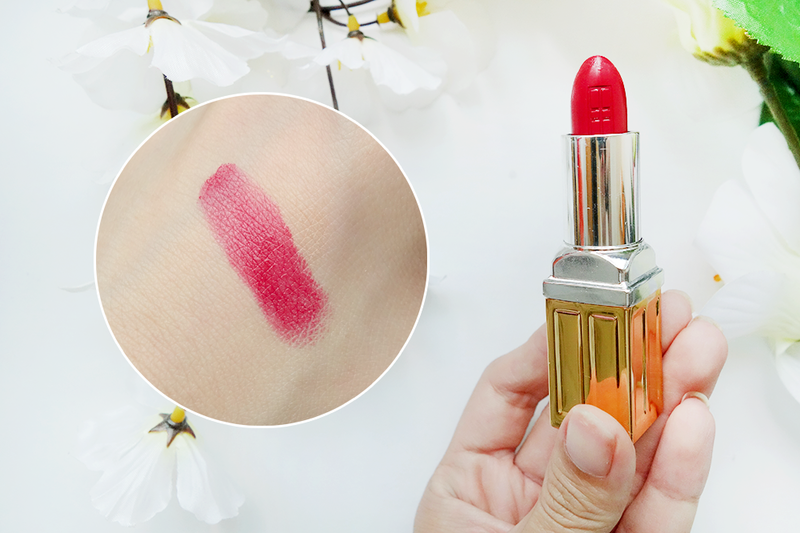 I got this from the event I attended recently (yes, the same event as mentioned above) and tried on this lipstick in Bold Red! This is ONE hydrating lipstick, I've got to say. 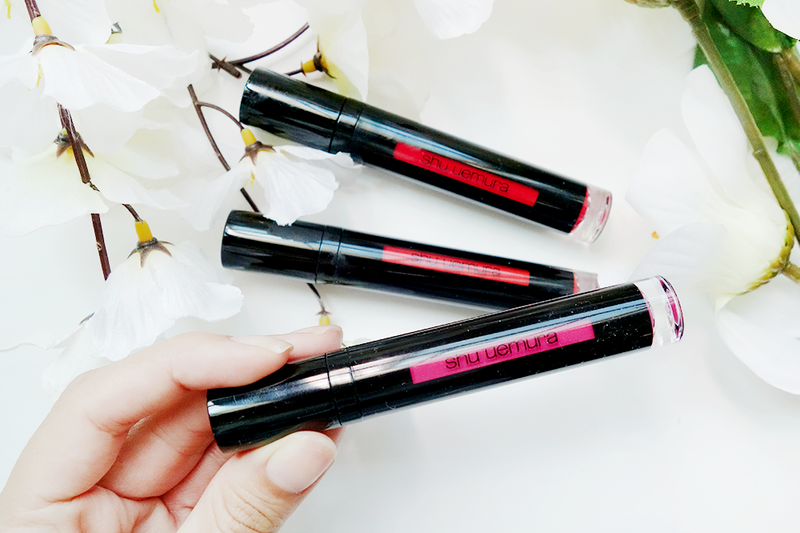 It's of course, at the end of the day, a matte lipstick so it's not AS hydrating as the Shu Uemura lipgloss/tint but definitely a much much MUCH better options than the other matte lipsticks out there. It stays on for hours and even doesn't feather much after eating! Fade yes, slightly, but if you're thinking of those nasty lined effects around the lips after eating, this doesn't allow that to happen. It's definitely a great choice to take with you to those gala dinners or those DnDs you've got to attend and want to look fabulous the whole night! I purchased this after a recent DPL (deep penetrating laser) because my face needed hydrating and I didn't want to take the risk on drugstore masks since my face has been extremely wonky. So I got this and hooray! Happiness! 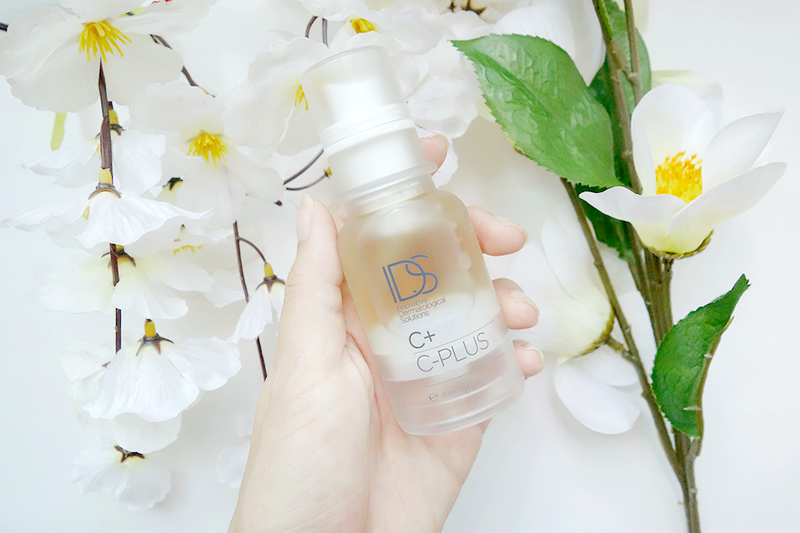 It's a little on the expensive side but indeed my skin calms down and I can literally see how soft and bouncy my skin becomes after using this. A big thumbs up to this, and I truly recommend it to anyone with skin as sensitive as mine. Well I've reached the end of this post, I hope you guys haven't died from being overwhelmed by the number of products! Haha. 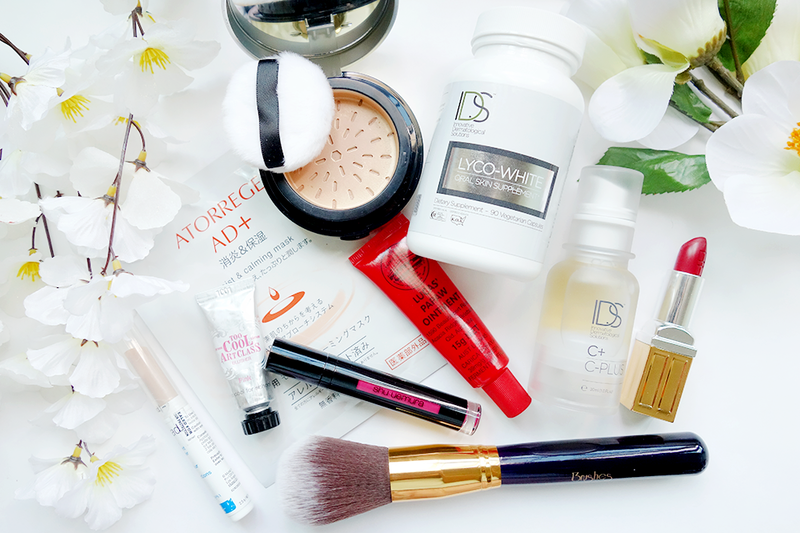 I know how beauty products, especially many of the good ones (though I must mention this isn’t always the case), can be quite expensive. Some of those I named above can be pretty pricey too, eeks! But not to worry because there are many solutions for you out there. 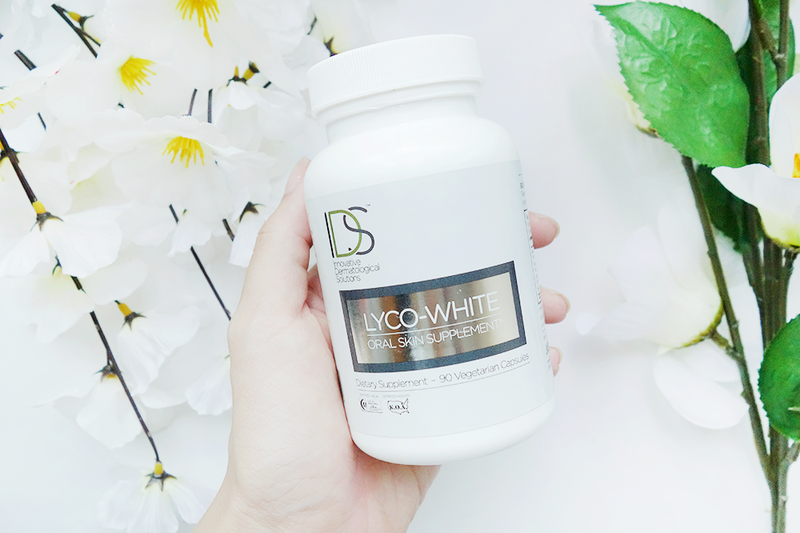 In fact, HEADS UP, there’s currently a website known as ShopBack which can actually help those discount-hunters on places like Zalora and Luxola when it comes to beauty items! It actually works on a pretty cool concept because, offering discount coupons aside, ShopBack is also a cashback site! That means, for every purchase you make through them on their merchants, they will rebate part of it back to you as cashback, allowing you to save EVEN MORE on top of what you save from the discounts! WOOHOO! thank you! :) Glad you liked the post!